5 capsules a day (1 serving). If you are on a medication or have a medical condition, consult a physician. 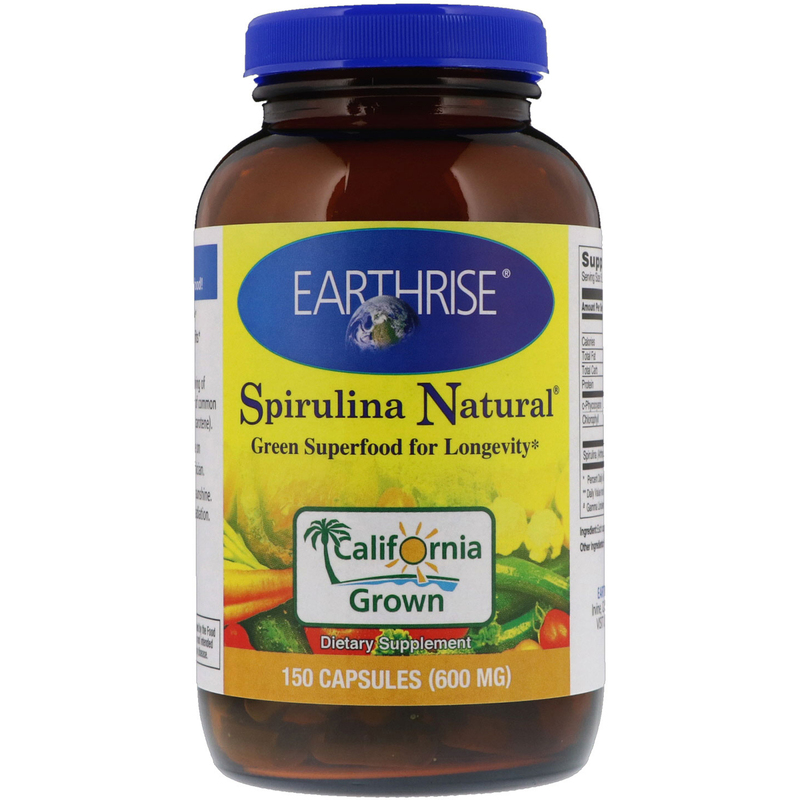 Each capsule contains 600 mg Earthrise Spirulina Natural. Other Ingredients: Hydroxypropyl methylcellulose (HPMC). 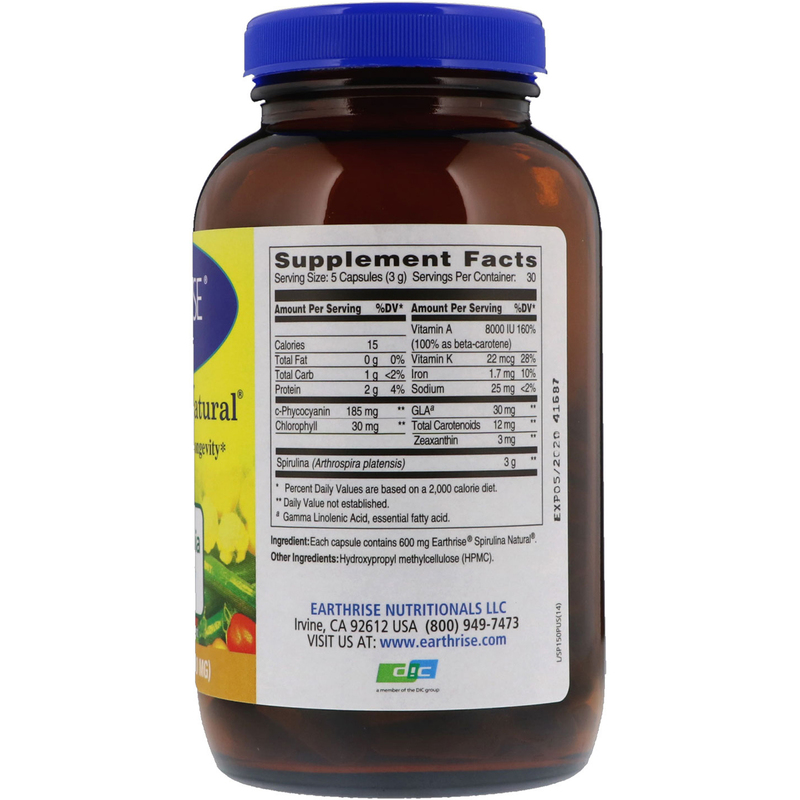 ª Gamma Linolenic Acid, essential fatty acid.